The Chief KTG445 provides a rock solid, bolt down solution for graphic designers, broadcasters and other users who need to need to simultaneously display four widescreen (up to 30" wide) monitors. 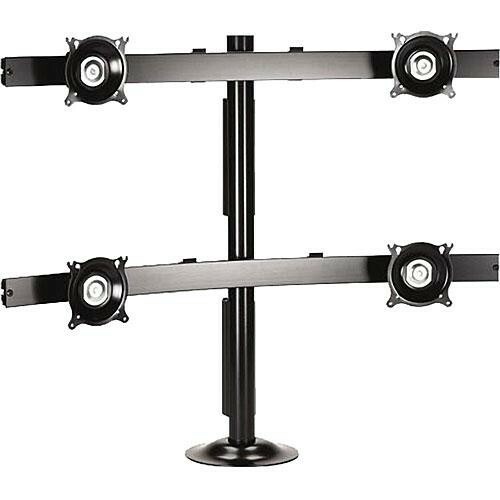 Provides ergonomic adjustability for hassle-free, fingertip positioning of each monitor (up to 20 lbs. each). To confirm the compatibility of this mount with your flat panel TV or monitor, visit Chief's MountFinder Proybbdseyvayxcrwwxaddaycx. Position each screen separately for ergonomic, horizontal alignment. Maximum width per monitor is 30" and maximum height per monitor is 18"
Box Dimensions (LxWxH) 45.0 x 15.75 x 8.25"